This third book in the series is an epic – major things happen, major and far-reaching events, even though most of the characters we’ve met in the first two books aren’t to be seen. The setting for this book is, for the most part, Villjamur itself, though there are chapters that venture further out to continue the story of a group of characters that stepped into the unknown in the first book. Character-wise, Mark really had fun in this book. We’ve got a detective-kind of guy, who’s investigations put him firmly in the sights of the Emperor; a group of outcasts who are brought together to create something that the citizenry of the city can look up to, and an old man who has spent a long time traveling to Villjamur, in search of a very important artifact – The Book of Transformations. You may recall that Books 1 and 2 also had a detective-kind of character in the main cast – it’s a difficult thing to pull off, having an investigator picking up clues and interviewing people as he’s investigating a case, especially in a Fantasy novel. I think it must be difficult to keep to that tightrope, to be able to balance the needs of the story against the characters, but Mark once again pulled it off – this investigator isn’t a carbon-copy of the man from Books 1 and 2, and as the novel progresses he grows into the kind of character that becomes the anchor, if you will – the island of normality in the strangeness. I think many readers will enjoy his story and the chapters that he features in, because there’s a definite sense of ‘impending doom’ dogging him, but he’s such a likeable character that I found myself cheering him on, despite knowing more than he did about the forces he was arrayed against (up to a certain degree, I must add). 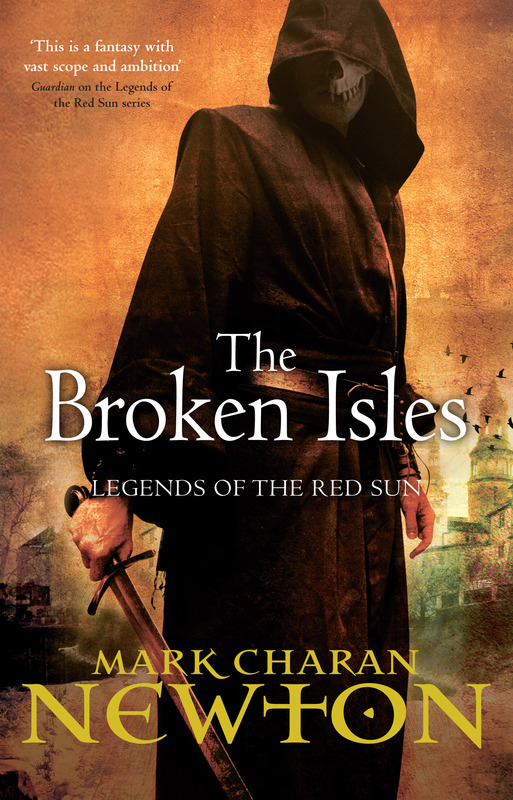 He also ends up taking a very important dual-role in the novel, and I hope that the final book in the series, The Broken Isles, explores the fallout of these dual roles a bit more, especially in light of what happens at the end of this novel. The group of outcasts had me worried before I began reading the novel – a little birdie told me just what ‘kind’ of group this would be and though I was excited to read how they would be integrated into a Fantasy setting I was worried that it would fall flat. One of the characters seems to be a homage to a very famous axe-man in Fantasy, and Mark uses him to explore the consequences of being a hero; I really liked this guy even though, if I consider the situation he was pulled from, he had the least to lose. He brought a sense of melancholy to the novel, but also a different kind of emotional intensity versus the others in his group. Even though he had the least to lose, it turns out that he had the most to lose – he’s the kind of character that most people sympathies will go to and I really enjoyed his tale. 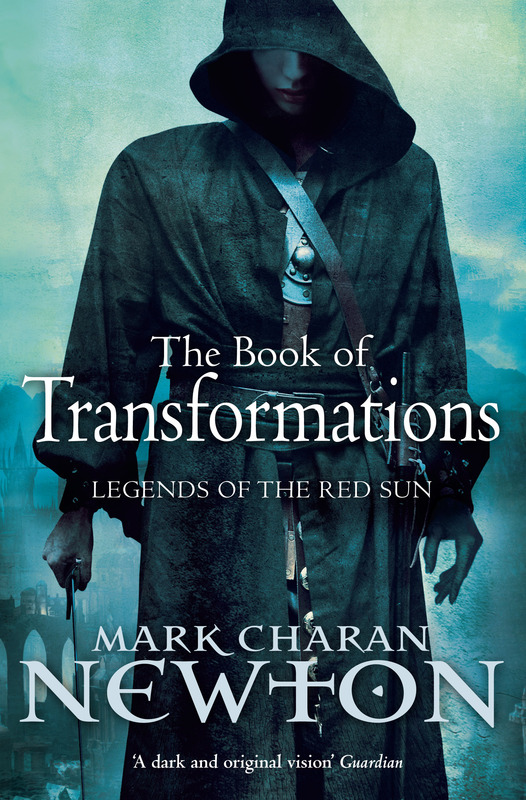 The female of the group – well now, if you’ve read Mark’s previous Legends of the Re3d Sun novels you’ll know that Mark doesn’t shy away from the kinds of subjects that usually aren’t present in Fantasy, or even Science Fiction. SPOILER WARNING. 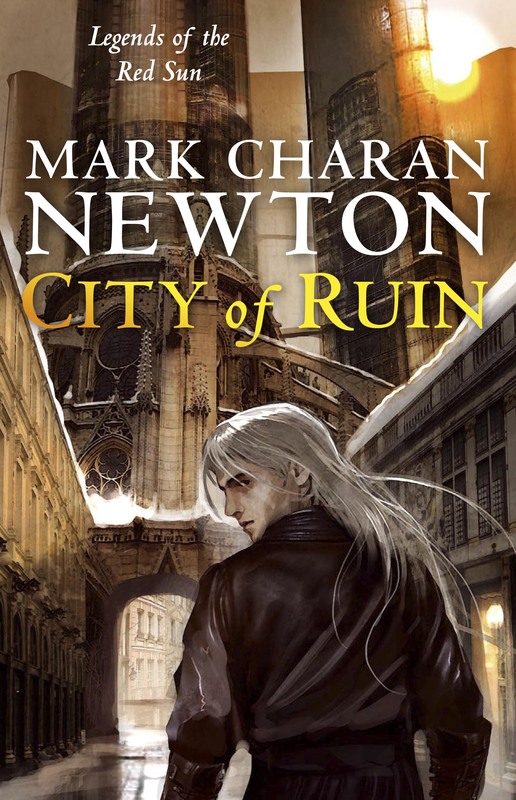 For example, one of the main protagonists from Nights of Villjamur and City of Ruin is a gay man, and I found Mark’s exploration of this character to be honest, unflinching and respectful – you know, the kind of portrayal any character should enjoy. Mark didn’t do anything special with this character – he just let him live out his tale in his world. It wasn’t always a happy tale and this guy had to face many obstacles and problems, but doesn’t every character in Fiction? What I’m trying to say is that it must be difficult to not place too much emphasis on a character who isn’t the mead-and-wench kind of man, but Mark not only pulled it off in Books 1 and 2 but also here, with this female character. She’s a practical, thinking and feeling being who is just trying to survive, and she finds herself in a situation where she can make something of herself and prove to herself that everyone has been wrong about her. 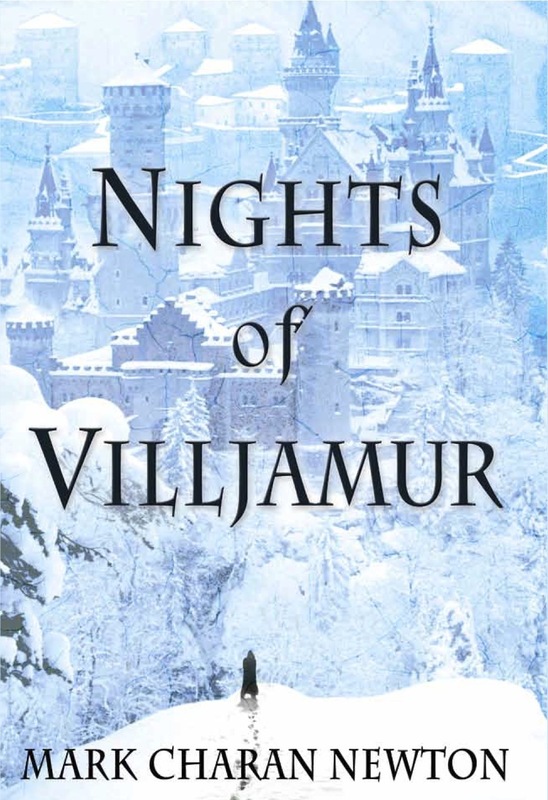 But that same situation affords her the capability to exact some retribution for everything she’s been through – this constant struggle and the search for herself through it all made her a compelling character and a great ‘voice’ for everything that was occurred in Viljamur, the city in which the novel’s events take place. The third member of the group, though, doesn’t get as tight a focus as his companions, yet his motivations still ring out, making the group three individuals instead of two memorable characters and one side-kick, which could easily have happened. I liked how this character’s point-of-view and motivations not only clashed with those of his companions but also forced them to look at themselves and their situations differently. The plot of the book is, as I mentioned earlier, epic – the previous problems in the first two novels, that of refugees seeking shelter from the coming Ice Age, reach a boiling point of sorts when citizens within the city start working against what the Emperor wants, which then leads to the kind of crackdowns that channels such as CNN, BBC and Sky News have acquainted us too well with. Also, a character who has gone in search of something greater than himself has found it, and when he returns to Villjamur, the consequences are –among other things- shattering. This was a tense, exciting novel, standing strongly alongside the first two in the series, and I’m excitedly looking forward to seeing where everything leads in The Broken Isles. 🙂 Highly recommended! To order your copies of The Book of Transformations, click here for Amazon US, here for Amazon UK, and here if you’re in South Africa. And do check out Mark’s website here. 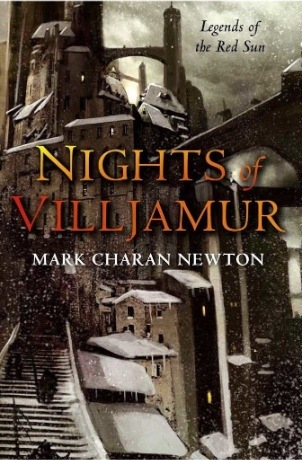 Welcome to the second interview in the series spotlighting some characters from Mark Charan Newton‘s Nights of Villjamur and City of Ruin! Today I’ve got the awesome rummel investigator, Rumex Jeryd. Jeryd is a character in both Nights of Villjamur and City of Ruin, and one of the most colouful and likable characters you’ll get to read. Focused on his work -helping to keep Villjamur’s street’s safe with the Inquisition- and possessing a practically unshakable sense of right and wrong, Jeryd too is drawn into the conflicts that will see the Jamur Empire changed. Dave: Thanks for agreeing to this interview, Inspector Jeryd. I appreciate you giving up your time during this important investigation. First off, what brought you to the Inquisition? And why in Villjamur? Surely there are quieter spots throughout the Empire. Jeryd: Well it wasn’t the paperwork, that’s for sure. It’s been so long since I’ve joined – decades and decades – that I can’t really remember why. A calling. A safe job. The need to do some good in this city. I was born and raised in Villjamur, but I don’t fancy making my way out in the sticks. It’s not as violent as some cities. And sure it’s quieter out in the country, but there’s no protection, no guarantee of food, risk of attacks from tribal uprisings and the likes. Plus now the ice is kicking in, I’m glad I’m behind these city walls. Dave: When you’re not persuing a suspect, when you feel the need to relax for a time, where do you go? What do you do? Jeryd: Time to relax? Very little of that these days. Back in the day, me and my wife, Marysa, we’d take in some of the underground theatre shows – she loves a golem show. Maybe dinner out, read a book. My breaks are when I get to a bistro, and I watch the world go by. There are a lot of characters in Villjamur. There’s a lot going on beneath the surface – but you need to look hard to see what’s really going on. Dave: Care to comment on the Inquisition’s practice of not allowing humans the higher positions? It just seems a bit strange, considering that the Emperor is human. Jeryd: Way back, there were massive tensions between humans and the rumel race. We were a massively suppressed people. After some serious fights and rebellions, given that humans held some damn important positions in the Empire, we were allowed to take such a major role in the Inquisition – as a peace offering of sorts. An social conscience thing. But also, given that we far outlive our hominid friends, we found we were much better suited for the job – experience is the key. Knowledge of laws, that kind of thing. Pretty soon, only we could become full investigators, and humans, who seem rather transient to us, could only achieve certain levels of progress. Hey, I know it isn’t fair – but I don’t make the rules, right? Dave: Coming to your wife: How does she handle your work? Has it put a strain on your marriage or does she handle it well? Jeryd: Hey, I’m hardly the guy to answer that one well am I? I mean, I guess you have to work at relationships, right? But with Inquisition work, well, it just takes over your life. I’m hardly there to see to her needs and when I am everything seems trivial to murders or whatever. No, I’m not so good when it comes to these things. I’d like to think I can turn things around though. Dave: Well, the city does have a way of bringing out the best or worst in a person. Coming back to the Inquisition, can you give us a short history of the Inquisition? Do you know anything of how it was formed and how long its been in charge of justice in Villjamur? Jeryd: As to how it was formed in the first stage, no one really knows. Most of the stories suggest it started with Jamur Joll, the Emperor who five thousand years ago re-named the settlement as Villjamur, and had the walls built. He established some kind of order (though you might think that order never really came), and the Inquisition was to enforce civil obedience. The Inquisition really took hold within the last couple of thousand years – in its current capacity. There was a great deal of combat between human and rumel, and the upshot of these tensions were that the rumel would be allowed to form the main rank of Investigators. It was a peace offering of sorts, to force two races to live side-by-side in peace. And we’re a relatively liberal city compared to others, so I’ve heard, so I guess the policy worked. Dave: Granted, it does seem to have worked. Looking back over your years in Villjamur, is there a memory that stands out more than most? Something good or bad that you’ll never forget. Jeryd: Memory is a strange thing. My species can live for a good couple of hundred years, so I tend not to rely on what happened all that long ago. We can distort things in our minds even after a few hours – think what that’s like for a few decades! Nah, whatever I’m thinking about probably isn’t how it was. Dave: That seems a sad way to live, but understandable from a rummel’s point of view. Is there then something you’re looking forward to? A dream that you’ve been nuturing? Jeryd: I’m realistic! You’ve got to think practically to be in the Inquisition. None of this emotions nonsense. I look forward to building a better marriage, but as for things to look forward to? Well, believe it or not, I’m a big fan of the theatre. I’d love more free time to take my wife to see a lot of the shows. Villjamur has great underground shows, and even in an ice age there’s a lot going on. I’m trying not to think too far ahead – what with the ice, nothing is certain. 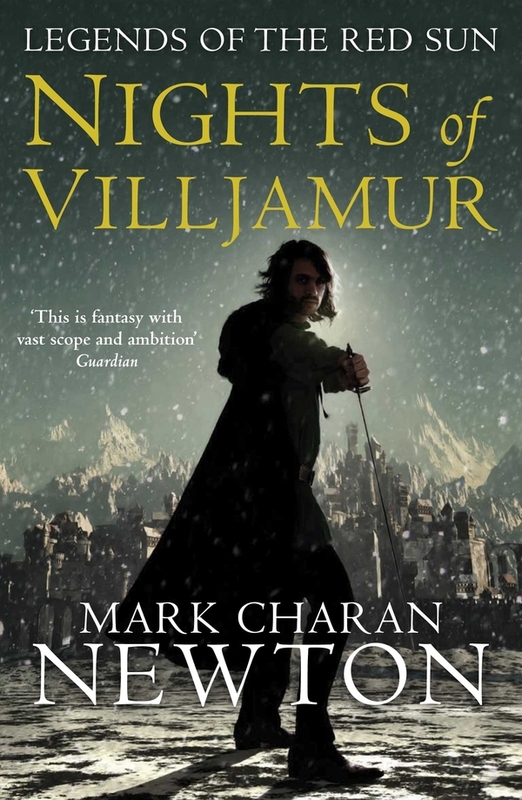 Remember to head over to your nearest bookshop to pick up your copies of Nights of Villjamur and City of Ruin, or order Nights here (Amazon UK paperback and hardcover) and City here (also Amazon UK). Looks like the dates on Amazon are incorrect, since Mark Tweeted today that the novels are already out on shelves. 🙂 And don’t forget, Nights of Villjamur will be making a splash in the US this month, too! Here’s the page over at Random House. 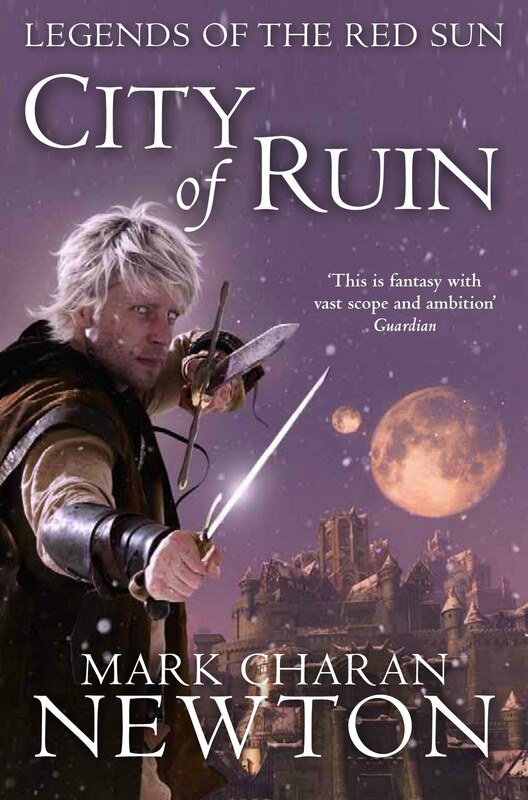 With Mark’s second Legends of the Red Dun novel, City of Ruin, on the threshold of official publication in the UK, and with Nights of Villjamur’s US publication date appraoching, too, I’m going to be re-posting the reviews of Nights of Villjamur and City of Ruin, as well as the interviews I’ve conducted with the characters in the novels. and on the second of June, Night Guard Commander Brynd Lathraea Adaol. 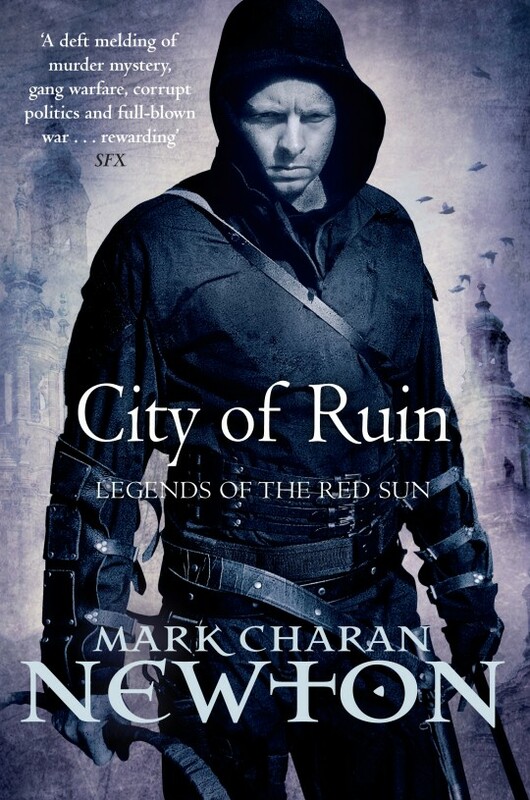 June the 4th is the big pub-date for City of Ruin in the UK, and the paperback edition of Nights of Villjamur will also go on sale on the 4th. 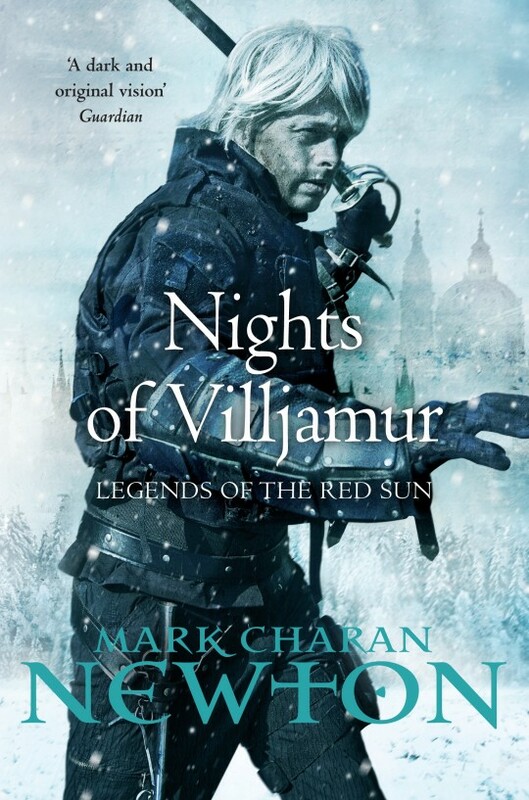 Mark officially enters the US on the 29th of June with Nights of Villjamur. I’m really looking forward to seeing how the US embraces Mark’s work – I’m pretty sure that he’ll be making a huge splash over there! Be back here tomorrow for the first interview!